NEW YORK, December 19, 2018	(Newswire.com) - A renowned collection of boutique spas located at upscale malls across the U.S., Infinite Beauty is dedicated to providing shoppers and beauty aficionados with the very pinnacle of skin care products and treatments. While many beauty brands provide a 'blanket' approach, Infinite Beauty offers a multitude of products and provides a vast array of spa services in order to best furnish each and every client with the most effective option or range of options for them personally, according to Eric Inbar, vice president of operations at the company. "Individuals typically react differently to products based on the unique nature and structure of their skin," Inbar explains. "Accordingly, we offer personally customized beauty treatments and skin care solutions to create long-lasting client relationships through a passionate approach to individualized beauty and absolute customer satisfaction," adds the company executive, keen to emphasize that, at Infinite Beauty, the client always comes first. Despite its numerous retail locations, Infinite Beauty is far from 'just' a retailer, according to the brand. Indeed, Infinite Beauty is now widely renowned for offering a complete skin care experience, with its boutique spas proving a multitude of cosmetic treatments and services delivered in a professional and relaxing manner and environment. "We've always looked to create an experience," adds Inbar, "supported by a range of beautiful products painstakingly developed to complement our facials and other treatments in order to synergistically enhance the benefits of what we do and offer here at Infinite Beauty." One such product range is Apeiro, the brand's own exclusive skin care product line, developed as an effective, organic combination of beauty solutions to promote healthy and radiant skin at home. "Ultimately, our mission at Infinite Beauty is to provide a natural alternative to invasive and sometimes harmful procedures," reveals Inbar. The vice president of operations goes on to explain that, in the pursuit of beauty, many have turned to invasive cosmetic treatments and surgical procedures. These, he suggests, can have permanent or long-lasting ramifications for skin health. "At Infinite Beauty, we want to offer natural solutions for those seeking the most beautiful skin possible," says Inbar. "By utilizing some of the finest natural and organic ingredients, we're able to provide dramatic results without compromising skin health," he adds, wrapping up, "allowing us to realize our vision of a beauty industry which helps people to improve, and not harm, their skin, however unique their individual requirements." 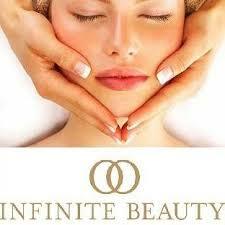 To learn more about Infinite Beauty, please visit http://www.infinitebeautyusa.com/.